My goal was the development of the IT infrastructure of the university. Over the past 12 years I have been able to assemble a team of 20 members and implement several interesting projects, such as: Microsoft DreamSpark subscriptions for students, services of different hostings, e-mails, DNS, the construction data center of the university, the union of all the resources of the University into a unified system, own computing cluster for education, helpdesk for all IT aspects. I have personally developed the accounting software for management of different entities, based on the ASP.NET-technologies and MS SQL Databases. 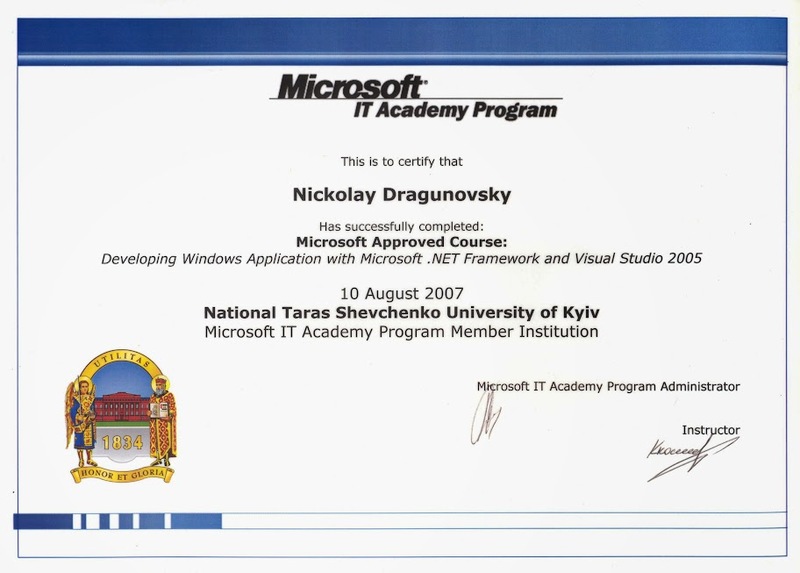 Certificate for the accomplished project "High end technologies in an education"